Every business has their own strategies and tools to achieve goals and performance. There are millions of new apps and software being built from accounting software to simple infographic tools. We did a bit of digging and found some small business tools, we think are great and you may like as well! Intercom is a customer messaging platform, which allows companies to communicate with their clients in a way that’s ‘simple, personal, and fun for everyone’. They have a few internal tools to make communication easier, including a live chat, marketing automation, and customer support. These allow you to chat with visitors while they’re on your website so you can convert them right away, you can onboard and retain customers through emails, push and in-app messages, and customers can ask for help in your app by email or social. So Intercom has done wonders for communications! We investigated more, and they’ve done a little more… They offer books that help companies communicate better and luckily for you, you can check them out here! At Littledata, we’ve integrated Intercom into our web app to allow clients to contact us directly in their own time, and for us to send important updates. Read more about it in our blog post: New In Littledata! Xero is a ‘beautiful accounting software’ that gives you a real-time view of your cashflow. It’s set up in the cloud, so you’re able to login anytime, anywhere and from any device. It’s the best way to get paid faster; you can send invoices directly to your customers online, and get updates when they’re opened. As Xero says, “it’s a small business accounting software that’s simple, smart and occasionally magical”. To give you real customer feedback, Xero has a few stories that give you insights into why small business have used them. Think it’s a branding source for Xero? Nope. They’ve taken the soul of these companies and created videos to showcase thriving businesses. Some testimonials include getting up to speed on financials with no number-crunching, bringing tech and craft together, efficiency and transparency, and more. 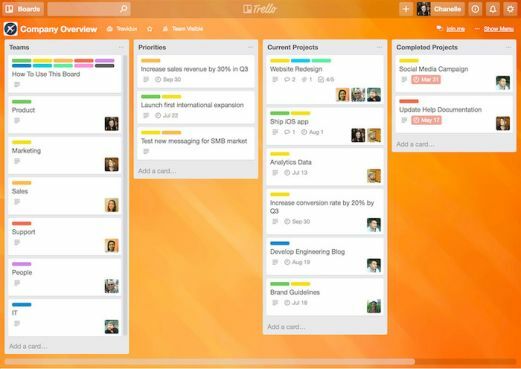 Trello is an ‘easy, free, flexible, and visual way to manage’ projects and organise anything. It’s used by many companies from all over the world for many different reasons. Not only can you visualise a whole company, but you can personalise the boards to your company branding, making it your own. Through Trello boards, you can keep track of clients, assign tasks to individuals, move projects along a path, customise your approach, and more. It’s the perfect small business tool to help you visualise your progress. At Littledata, we’ve created numerous boards based on different aspects of our business from development to marketing, which allows us to work better as a team. Skype is a communication application that ‘keeps the world talking, for free’. It’s a perfect small business tool to not only keep in contact internationally, but you can create group calls among team members with both internally and to remote teams. 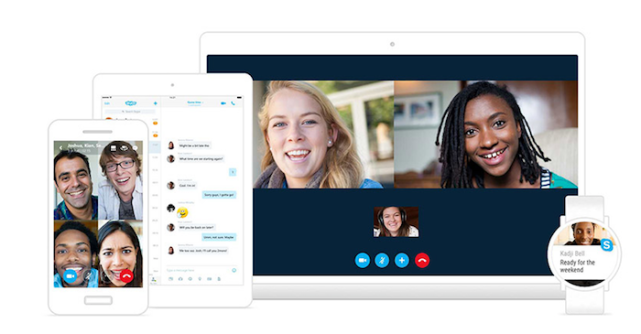 Over the past few years, Skype has evolved bringing more efficient communication to companies and individuals. You’re not only able to call Skype to Skype, but you can have group calls, call phones anywhere in the world, and trust us, at a much lower rate, and you can screen share, which simplifies training or calls. At Littledata, we currently use Skype to communicate within our London office when working remotely and to share documents, and we use it to keep up to date with our Romanian office. Through weekly meetings and constant updates, we’re able to know how to efficiently help one another and work as a team, regardless of the time zone. ‘Meetups are neighbours getting together to learn something, do something, share something…;’. It’s the world’s largest network of local groups, making it easier for anyone to organise groups based on common interests. It’s a perfect small business tool, helping people around the world organise themselves to make a difference. As a business you can create groups to showcase your product, giving potential clients a more personal contact, while taking advantage of Meetup’s vast audience. Not only can you use it for business purposes, but there are numerous creative groups from badminton, marketing analytics to cultural groups. Canva empowers the world through design by giving individuals an easy-to-use program for creating beautiful designs and documents. Whether you’re using one of their professional layouts or creating one yourself, you’ll always be showing off stunning graphics, that are simply created through their drag-and-drop feature. You’re not only able to create flyers and banners, but magazine covers, CVs, business cards, and even social media graphics. Canva provides perfect sizing to make all of your designs perfect for any online profile. Not only do they give you different options, but you can add all those cool extras, such as fonts, shapes, and filters. 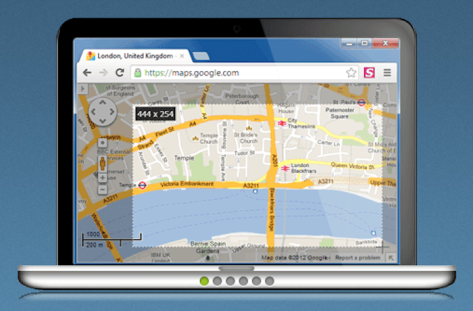 You can use the business tool, Fireshot to take screenshots with a few clicks. It gives you different options, including selections, entire web pages, and the visible part of a website. This tool saves time, and allows you to customise by performing quick edits, add text annotation, choose the format of the file, and there are different options to keeping the file. At Littledata, we use this strategy to take screenshots of our web app, which helps us in writing our blog posts to show our clients, and people needing Google Analytics information. It basically helps us promote ourselves! Dropbox gives people a trustworthy and secure approach to managing their files. It ‘simplifies the way you create, share, and collaborate’. With a simple download, businesses can have access to all company files from anywhere, bringing teams together constantly. This is a great tool for small businesses as it’s inexpensive, it works with all email providers, and you have an unlimited amount of space. Zoho CRM ‘empowers the teams and businesses that use it’. It offers insights into running your business, an easy-to-use program, and a solution to processes. It combines good practices, smart choices, and ideal situations into a customised business tool. This business tool is great for small businesses who want to keep track of their sales and manage their client relationships. It allows for custom layouts that make it easy to tailor different approaches to getting more leads or accounts. For the amount of flexibility, Zoho CRM is inexpensive and their customer support is great in helping determine the perfect layout for your business needs. AnswerThePublic captures individual’s questions and gives you an aggregated view into motivations and emotions. They basically developed a mind-reading platform that gives topics for content, allowing for new conversations and direct answers to the public’s questions! Our web app gives you simple and actionable insights into your website’s performance by wading through hundreds of Google Analytics metrics and trends. Our goal is to give you summarised reports that matter based on your goals and priorities. You can find out more about specifics in our blog post: A guide to reporting in Littledata’s web app. We also offer some great freebies! These include a free 30-day pro trial or an audit. 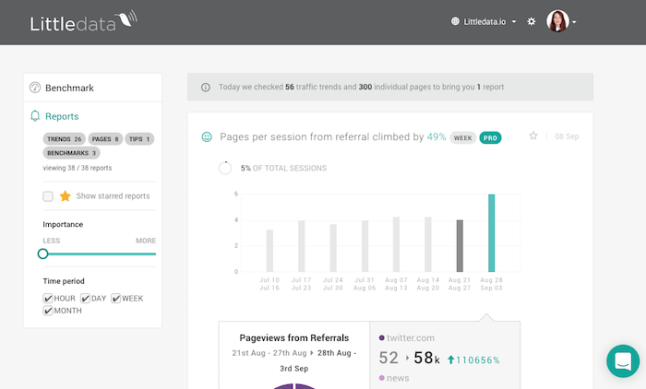 With the trial, you get access to pro reporting, where you can see intricate details of significant analytics. With the audit, you get a list of recommendations for how to improve your tracking, which we can set up for you and provide further analytics support. Want more info? Contact one of our wonderful experts! We’re a business tool that allows you to get more from your Google Analytics. Grasping the data can be overwhelming so we’d like to remove that stress and help you look at trends that matter. Our web app does the hard work for you by finding important data, so you just need to look at the app or wait for important alerts that you receive by email! Have any other great business tools? Why not let us know in the comments below! Get Social! Follow us on LinkedIn, Twitter, and Facebook to keep up to date with Google Analytics.